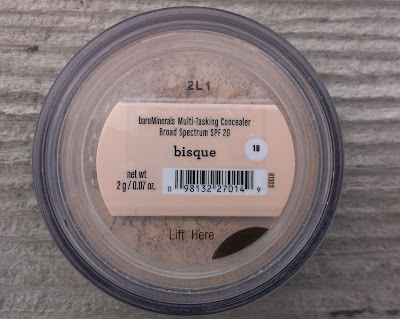 Depending on the foundation shade that the choose, the Bisque Concealer and Stroke of Light Eye Brightener colors will vary -- I ordered the foundation in Fair, so I received the original Bisque Concealer and the Stroke of Light in Luminous 1. I'm passing the Ready Foundation onto my sister, who has a loose mineral foundation powder that she loves (Everyday Minerals, in case you're interested. She has rosacea and very reaction skin, and she loves the way that it looks and feels. I have a couple of their products too, and I've always been happy with the stuff.) but she likes to carry a pressed powder in her bag for touch-ups. I thought she might like to try the bareMineral's pressed foundation out. 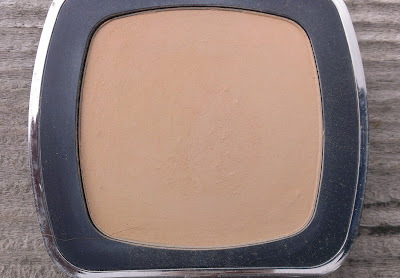 BE cautions that you may need to go a shade darker in the Ready Foundation than you wear in their original loose formula since the colors run light, but personally, I find that the Fair shade in Ready is slightly darker than my original formula Fair. Not so much that it's unwearable, but I certainly don't need to go a shade darker. If you're not familiar with the bareMinerals Bisque Concealer, it's a loose powder concealer that you can use on any discolorations that you might have. I typically use it over a cream or liquid concealer when I want totally flawless coverage, not on its own. I've been interested in trying the Stroke of Light Eye Brightener since it came out, which is one of the main reasons I bought this TSV. I'm a sucker for anything that promise to brighten up the under eye area. This product can also conceal a little bit too, though, so if your dark circles aren't that bad, it might be the only product you need under your eyes. 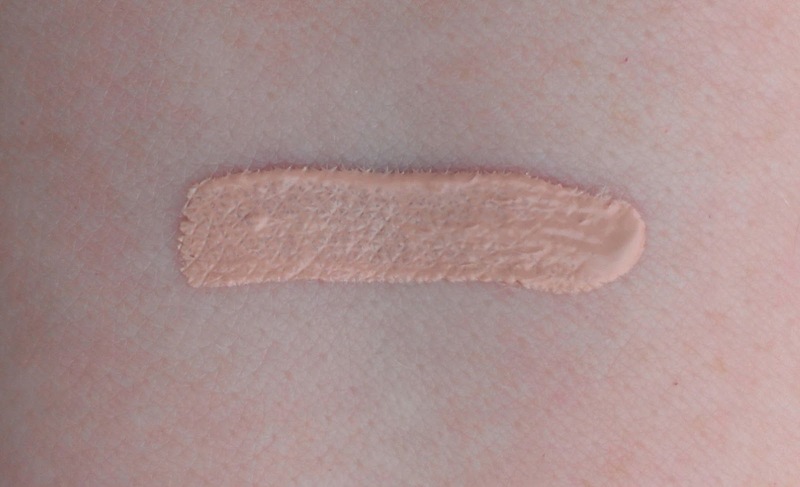 But it also has a pretty liquid-y, lightweight consistency so you can layer it over your favorite cream or liquid concealer for extra brightening under the eyes. The Luminous 1 shade has a slightly peachy cast so it does a really good job getting rid of bluish tones under the eyes. The brightening effect is pretty subtle with Stroke of Light -- you aren't going to get that Kim Kardashian reverse raccoon look with this baby -- but it is still noticeable. I love the Ready Blushes and am really enjoying the Ready Luminizer that I bought, so a duo product that contains half blush, half luminizer sounded like a dream come true. The blush shade is The Love Letter, a sort of mauve-y brown color. 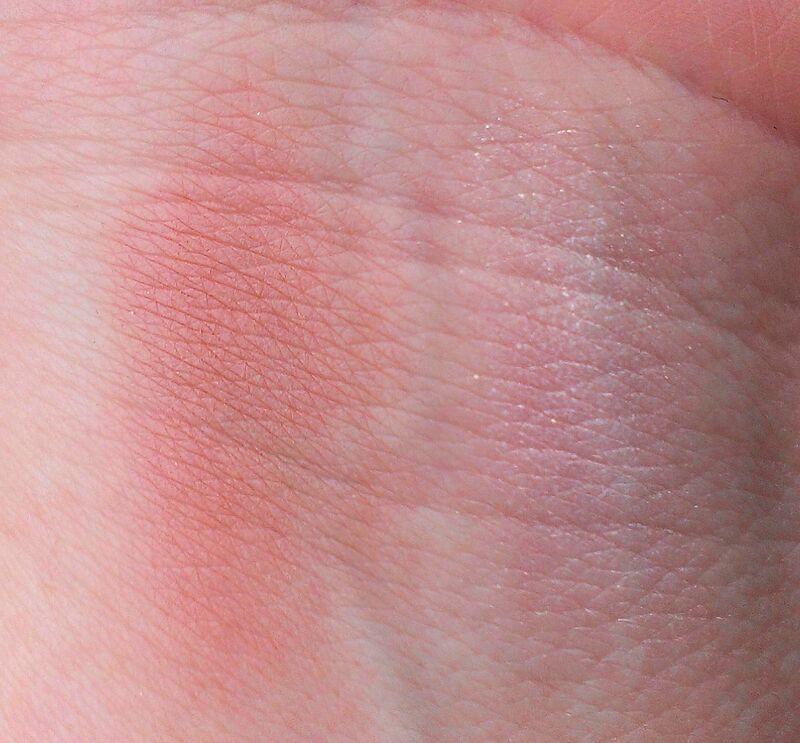 It reminds of Tarte's Amazonian Clay Blush in Exposed in that it has a very natural, healthy look on the cheeks. The Love Letter has a brighter look to it, though, so it really perks of my pale skin without giving me clown cheeks. 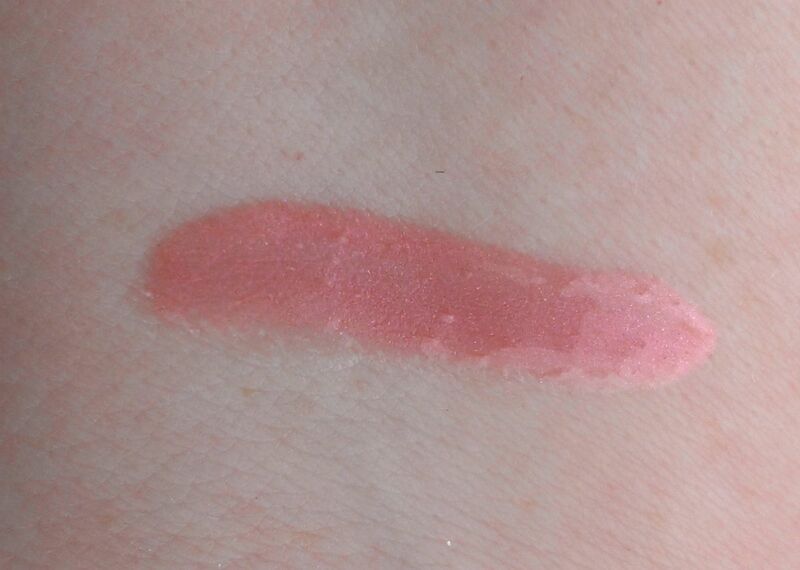 The luminizer shade, The Daydream, looks bright pink in the pan, but it's actually a light, golden pink on the skin. It doesn't have any glitter, but there is definite shimmer -- however, on the cheeks, it translates to a subtle glow that I really like. As much as I love the Buxom Lipglosses -- and they are definitely my favorite glosses of all time -- I've really come to love the Marvelous Moxie Lipglosses too. They're just a bit sticky, but that gives them really good staying power and like the Buxom glosses, they've got a nice cooling sensation on the lips too. The Moxie gloss shade in this kit is Starlet, a lovely rosy pink with subtle gold shimmer. The TSV kit also contains two brushes. In the interest of full disclosure, I'm not the biggest fan of BE brushes. I find that most of them are pretty scratchy, so I use them mainly for travel. The brushes in this kit actually seem to contain synthetic bristles so they're actually super soft. I could actually see myself using them on a regular basis. 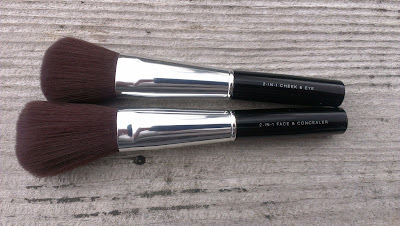 The brushes, 2-in-1 Face & Concealer Brush and 2-in-1 Cheek & Eye Brush, are actually dual-ended, which, while are super convenient in theory, are a pain to store -- I don't have a drawer to lay out my dual-ended brushes, which means that one end inevitably gets crushed from being stored upside down in a cup. These brushes are actually kind of cool because one end sort stores beneath the other until you pull them apart and make them dual-ended. That means that they're super easy to store. With shipping & handing and taxes added in, mine came to over $80. Don't get me wrong -- it's still a good value. If you break it down, it comes to just over $11 per item. The Ready Foundation is $29, Stroke of Light is $22, and a Ready Blush or Luminizer usually goes for $22 -- that's $73 right there, and we haven't gotten to the Stroke of Light, Moxie Gloss, or brushes. Still, it just doesn't as good a deal as other BE TSVs I've purchased over the years. If you're a fan of the Ready Foundation or have been wanting to try it, I'd recommend the TSV without hestitation. 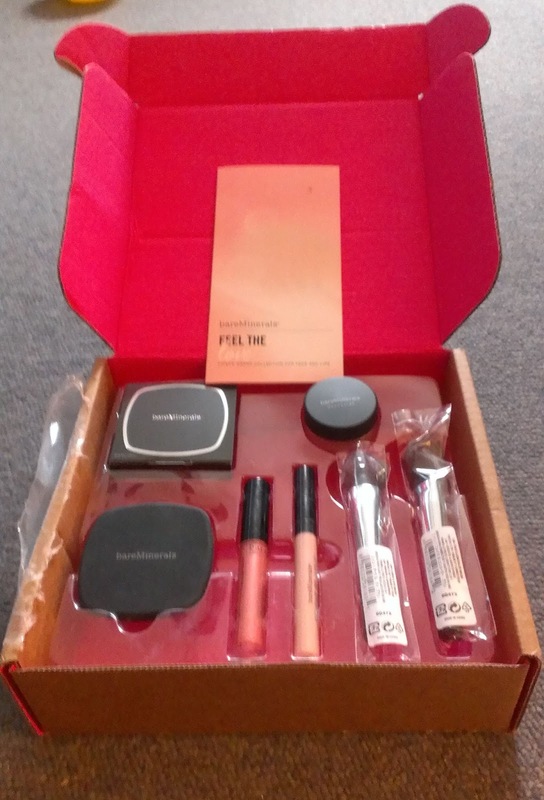 If you don't really like it or don't need another foundation, I'm not sure the rest of the products in the kit are that exciting or the deal is that great that I'd say it's a no-brainer. Now, don't misunderstand me -- I'm not sorry I bought the kit. I love the blush and luminizer duo, I'm enjoying the Stroke of Light, and the gloss is such a pretty color for everyday wear. I'm even pretty excited about the blush, believe it or not. I think if my sister really loves the Ready Foundation, I'll feel like I really got my money's worth, though. Is the BE Feel the Love TSV tempting you? The brush construction is genius! I not a big fan of dual-ended brushes either. Thankfully, this TSV isn't tempting me at all. I'll gladly be skipping it. Ahh, I wish I would have known about this TSV! 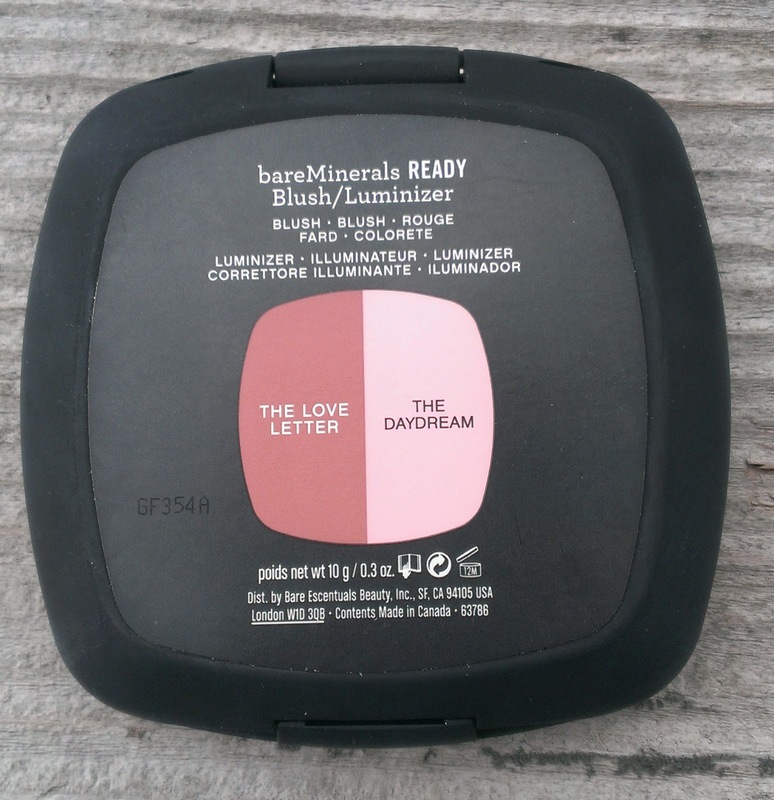 I love the Ready blushes, they are really great. The Daydream looks SO pretty. There's still time, actually -- the TSV doesn't air until April 20th. 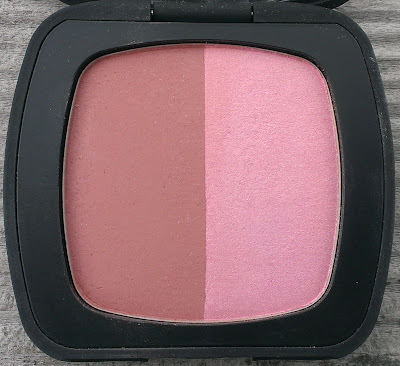 :) I am totally in love with blush/illumanizer duo. So pretty! Do you have any idea where I can find info about the future shipments of this kit?